Luxury Scent Box is a fragrance subscription box for men and women. Each month you will receive 9 mL (about 0.3 fl oz) of a designer fragrance. You can accept the fragrance of the month, you can choose scents based on a short profile survey, or you can just build a calendar of scents on your own. Active members can purchase an extra scent at any time for $18, which includes a case and free shipping. It is also possible to upgrade to a double membership (i.e., receive two fragrances per month) for $30 which includes a case and the option to choose a premium scent. To receive this option you must be an active member and then you are able to upgrade to this plan in your account. This is a review of the $30 Luxury Scent Double Membership, 2-per-month plan. Coupon: Use code LUXURYSB to save 35% off your first month! There was a little more information about how to use the holder that comes with your fragrance. There was also a small card with instructions on how to use the holder that comes with the package. You receive a new case every quarterly; it will be shipped automatically. This is a complex fragrance. While it does have some citrus notes (lemon and bergamot), it also has some florals (neroli, of course, and galbanum), a base of amber and musk, vanilla, and some green notes (petitgrain and birch leaf). At different times, I can detect most of these, but despite the name, there is a definite “green” impression I get with this one, overall (at least when I wear it). “Green” is not something I seek out in fragrances, but I think it works here, especially with the amber, musk, and vanilla. This is a good spring/summer fragrance, I think, and I feel like it would work as a unisex scent (I tend to like those for myself). This is primarily a citrus scent and while that’s not normally what I go for, I have really been a fan of pretty much everything from Atelier Cologne I’ve ever tried and that is true here, too. I think grapefruit (i.e., “pomelo”) is underutilized in the fragrance world and that is definitely the most prominent note here. This does also have some mandarin and then a few base notes like vetiver and amber that I’m usually a fan of, plus a few floral notes that I honestly can’t detect (fine by me) and mint, which is very light but works well in the overall blend. Mostly this just smells like grapefruit on me unless I really concentrate! But that is a great scent for summer and I am happy with this selection. Verdict: The fragrances I received this month had an estimated value of $45, so they definitely exceeded the cost of the subscription (remember the two-fragrance variation goes for $30 as an upgrade for existing subscribers). If you’re looking to maximize value, that’s great, but I also think there is some value in using the tools that come with the subscription to figure out what sorts of scents you like the best. I was already familiar with Atelier Cologne but was still happy to see these two fragrances as I’ve been a fan for awhile. In terms of comparison to similar services, this costs about the same as Scentbird. You get 9 mL here instead of 8 mL as with Scentbird, so you’d receive a little more product with Luxury Scent Box if you opted for the same fragrance. Scentbird and Luxury Scent Box have overlapping but not identical fragrance selections, so the decision may come to who carries the brands you are most interested in trying. Do note that you have to upgrade to an $18/month plan to take advantage of the full range of offerings from Luxury Scent Box. Can you still get this box if you sign up today? Yes, just choose this fragrance for your shipment calendar. Coupon – Use code LUXURYSB to save 35% off your first month! Value Breakdown: At $30 for this subscription, you’re paying $15 per fragrance. Check out all of our Luxury Scent Box reviews and other great fragrance boxes in the Perfume Subscription Box Directory! What do you think of Luxury Scent Box? What fragrance did you receive? How do subscribers rate Luxury Scent Box? Do you subscribe to Luxury Scent Box? Add your rating now! The failed to ship after being charged for the 2nd time. I cancelled. Also, you can no longer msg them on facebook, they “pre-approve” all messages. They really know how to provide excellent customer service. Love this company. The price is so worth it for a month supply of fragrance. Recommended. Been a member with Luxury Scent Box for over a year now and it’s highly recommended. Comparing with other fragrance subscriptions this one is the best. Had an issue one month where I forgot to change my old shipping addresss in my account so my order was not received but that’s my fault. I reached out to customer service and they processed a new order to the correct new address updated complimentary. Customer service is excellent. Shipping is very fast as well. A good selection to choose from. I joined Luxury Scent Box in April 2018. I have the other two fragrance subscriptions, and no problems ever. Out of the eleven charges on my card, I have actually only received five of them! My fault for not keeping better track, but I’m a very busy person. After “cancelling” they WILL continue to charge your card. BBB “F” rating is accurate. F for FRAUD. What they claim to have is available everywhere else, unless you pay $18 for the actual “luxury” fragarances. No responses from customer service. DO NOT RECOMMEND unless you want to donate $15+ to them every month. DO NOT RECOMMEND unless you want to donate $15 to them every month. Wow, what a really great service. Luxury Scent Box surprised me with a really good monthly size of perfume. Only positive things to say, I didn’t one shipment and contacted customer service by phone and they sent out a replacement with no issues. Prior to Luxury Scent Box I was with another perfume service and you can not compare. I’m staying with LSB (this service) for life. I just purchased 3 gift subscriptions for family and recommending to friends. FYI, been with LSB now for 7 months. The customer service could be a lot better. I was sent the wrong fragrance one month and no one notified me that the fragrance I chose was not available. My credit card expired and I couldn’t update it on the site because of an error message, so I emailed customer service and got no response. I called customer service 4 days straight and even left a voicemail. No one ever answered or returned my call. I’m not surprised they have a F ratting on BBB. I have a feeling the terrible customer service will be the downfall of this company. I love the product and service. The size last me slightly over a month, its a good size. Signed up over 5 months ago and have found so many perfumes that I truly enjoy. It’s a nice way to try it first before buying the large size. The ones I have enjoyed, I ended buying some of the large sizes from Luxury Scent Box. Customer service is excellent. They treat customers with care and are very professional. I’m subscribed to other sub boxes and this one is a keeper. I’m sad this is my third month subscription first two months I was very satisfied with product and delivery but this last time I was charged on 9/17/2018 today is 10/6/2018 and my order keep showing ready to ship, I had call several times and left msgs nobody answered or returned my calls, no even on the costumer service chat………I’ll wait until monday only for an answer after that I will take further actions. My account was charged 3 days early as well. I am a premium subscriber and for some reason this month I was only charged 15 instead of 30 and they are only sending 1 fragrance. Shipping takes forever. I don’t even get a tracking number until 2 weeks after I was charged. I still haven’t received my October box and they have already billed me for November. I have e-mailed them with no luck. My September order was wrong too and they only way I was able to contact customer service was via Facebook. Shout out to Nikki in customer service for her helpfulness. I’m fairly new Luxury Scent Box and have to say it’s the best decision choosing this company over others. The shipping is prompt and their customer service is top notch. I love trying a new scent each month. I have been subscribed to Luxury Scent Box for over a year. Signed up for the Duo Plan. Love getting 2 fragrances per month. Awesome company. Luxury Scent Box has great customer service. I also upgraded plan to the Duo Plan great deal. I love Luxury Scent Box. 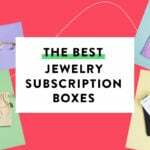 I’m a subscription box junkie. My must have boxes is Birchbox, Glossy box and this one. I have been addicted to Luxury Scent Box as it’s worth trying out a sample size without having to buy a full size that you might just dislike. Not only that I love trying new ones each month. I even have found some signature scents using this service. Customer service is good as well. I would recommend. Forgot to mention the sample size is a month worth. Mine lasts me longer then a month as I receive the upgraded duo plan, I alternate 2 per month. Forgot to mention I received Draco Tiziana Terenzi and love it. Next month I’m trying one of the Atelier Colognes. I recently upgraded to their duo plan as I want to try more then one per month. Its totally worth it. I love Luxury Scent Box. I have tried all the perfume boxes and this one is the best. they have a large selection to choose from. Shipping is prompt and by far the best customer service. They give me the opportunity to try new scents each month without breaking the bank. I have been telling my friends about it as I have become addicted to the service. Luxury Scent Box is a fabulous service to try monthy. I have tried some other ones and I been the most happy with Luxury Scent Box. They ship really fast and are very helpful if you need help finding the right scent. Its very nice to get a different scent each month and try new things. I would have to agree. I have been with Luxury Scent Box for almost a year. Love the service each month. Customer service is great. They are the largest size in a perfume subscription. Scentbird I cancelled I always had issues with them. When cancelling It took forever. I love Luxuryscentbox.com as I subbed last month and it was best decision ever. The sample size lasts me over a month. I use 1-2 sprays a day. When spraying the perfume, the sprayer actual covers a wide range so only 1 or 2 sprays are needed. It well worth it and highly recommended service. They have a good selection to choose from as well. Luxury Scent Box is a better Service then Scentbird from my experience. They ship fast, excellent customer service, good choice to choose from. Scentbird has poor customer service and it seems like it takes forever to get your monthly. I ordered mine 3 weeks ago and still haven’t received anything. Also every time I call a voice mail mail comes up. I’ve emailed them and haven’t gotten any response. This is a horrible service. Really bad business. Have been a member with Luxury Scent Box for a few months and love this service. Wow — from the spritzer to the vial to the velvet bag, it looks like they straight up ripped off Scentbird. I was thinking the same thing. I never ever wear the same perfume 2 days in a row as I have a bowl full of expensive samples. Thanks to sub boxes I wear some very expensive perfume and probably can for the rest of my life. I don’t really understand this sub. You can go to Nordstrom, Neimans, Macys, etc. and get all the perfume samples you want for free. Even the Sephora sample pack, although limited, seems like a better deal. These vials are way bigger than freebies from department stores. 9 mL (what you get with this subscription) is about 0.3 oz. Free perfume sample vials are typically 1.5 mL or smaller. Plus, some people don’t live near department stores or physical Sephoras (where you have to go to redeem the vouchers in the sample packs) or don’t want to go to the mall.